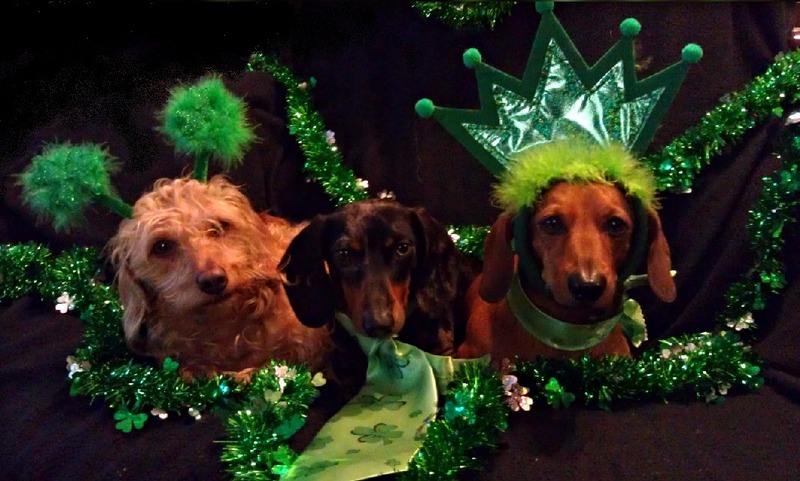 My Three Doxsons: Happy St Patrick's Dogs!! Its a little early I know, but you know you can't put any holiday off to the last minute. It all takes planning, some holidays more than others. Ya gotta hit the dollar store. 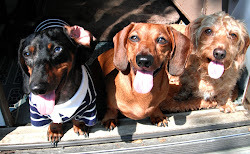 Atleast to pick up your silly items to dress the Dachshunds in holiday attire. 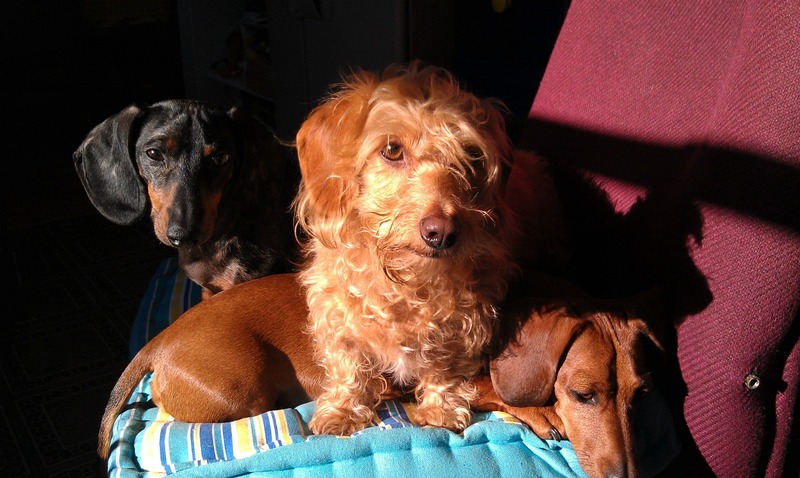 They don't mind too much, there are treats involved of course, little ones because its going to take more than one, especially with three dogs. Although Peaches likes "dress-up", head gear is not her favorite thing. Everyone decided to take this photo shoot laying down. I hope everyone has a pleasant St. Patrick's day, not too pleasant though. You know it originally wasn't supposed to be a drinking holiday? In fact in Ireland its taken more seriously than people in the US do. That's what they said on NPR. I'm sure they have a few beers too. It actually commemorates the death of St. Patrick in 461. He is credited with bringing Christianity to Ireland even though they kidnapped him and brought him to Ireland as a slave. He escaped, then went back, what a guy! And now they remember him forever.